Who says you can't have it all? This Tag Heuer Aquaracer is the product of fine Swiss watchmaking expertise, with a 316L stainless steel case and bracelet, a unidirectional bezel, and luminescent hands and dials so you can read it in the dark. 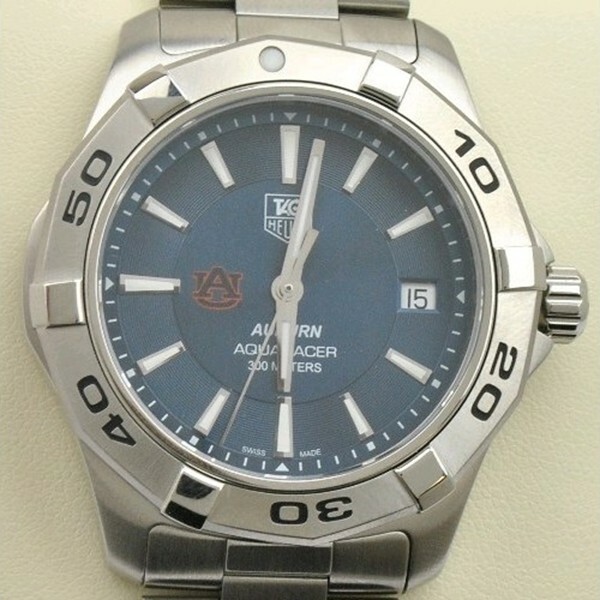 Cap that with a stunning blue dial graced by the orange and blue AU logo, and you have the true sportsman's watch.